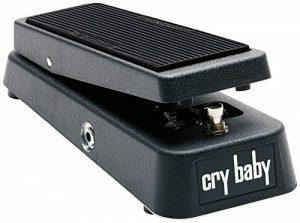 Our overall winner is the legendary Dunlop Cry Baby Wah! 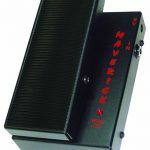 Looking for a guide to the best Wah-Wah Pedals? You’re in the right place. 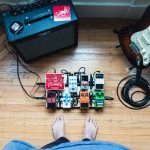 Whether you’re new to playing the guitar and want to discover the best wah-wah pedals for beginners, simply want to find the best pedal for the money, or if you’ve already had several pedals and want to really splash out on an expensive wah-wah, we’ve got you covered. Made famous in the 60’s by Mr. Jimi Hendrix, and arguably one of the most iconic pedals (if not the most iconic pedal) ever, a Wah pedal should be in every guitarists arsenal. Make sure you check out the Wiki guide to the Dunlop Cry Baby pedal to really understand the history behind this iconic piece of equipment. But, there’s more to these long-lasting contraptions than the offerings from Dunlop; let’s get into the guide so you can find the right one for you. We’ve kicked this post off with the Donner Wah Cry because of its unique 2 in 1 function, so if that’s what you’re looking for, then there’s no need to scroll through the rest of this mammoth guide! When it comes to the primary Wah-Wah effect, the Donner sticks to the core roots of what every guitarist knows when it comes to the effect. Perfect for players looking for a diverse and practice all-in-one stomp box. The Dunlop Cry Baby is constructed to withstand anything a demanding tour schedule, a house move, or a lifetime of gigging and travelling can throw at it. 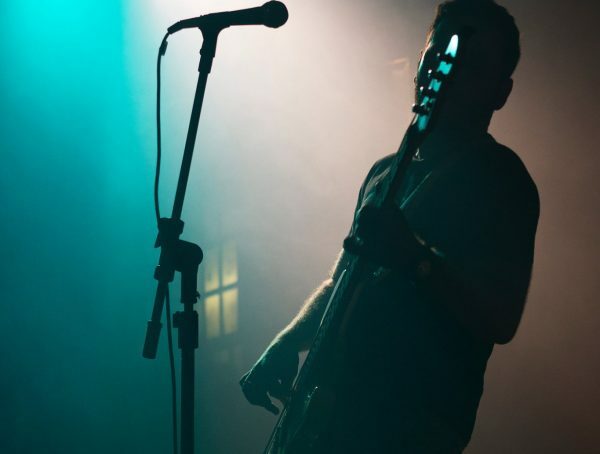 The ‘Wah Wah’ sound comes from 100k ohm ‘Hot Potz’ potentiometer, which is a fancy way of saying that the pedal ‘sweeps’ the guitar frequency, resulting in a rise and fall of the modulated signal. The result? Nothing but Cry Baby goodness! The versatility of the original Cry Baby design is what has made this powerhouse stand the test of time. When switched to the back of the pedal with the heel, the tone is immediately transferred to a bass sound with a boosted treble (think of this effect similar to when a filter is turned down on a dance track). This reduction gives the signal a ‘muddy’, watery effect, ideal for dialling back the front-end of the signal and using the Wah for verses and for buildups. When switched to the front, high-end is reintroduced, and when coupled with a healthy does of overdrive can induce controllable feedback, harmonics and a searing solo effect. Long story we short, we love this pedal and you will too! Whilst the price of this pedal may seem frightening, it comes with a very justifiable reason. The level of control achievable with the Xotic Wah is simply astounding! As you can see, it’s rare that you will come across a standard model with added features such as this. The pedal even has an LED indicator, informing the user of when the pedal is ‘live’. Just awesome! Ideal for travellers and players who live in small city flats and apartments, the Donner 2 in 1 is a brilliant discount version of the standard wah. Also excellent for players who want to experiment with a cheaper wah wah before diving into the more expensive options, let’s look into at why the Vowel Mini is worth a second look. The price is kept low due to the plastic casing, however the pedal is still much more durable than you may expect. The ‘2 in 1’ name comes from the two settings on offer; ‘Vintage Wah’ and ‘Active Volume’, both based on the original Dunlop circuity and designs. Switching between the two modes is also incredibly easy due to the versatile foot switch and LED’s which highlights each mode. If you’ve been browsing for Wah-Wah pedal under $100 for a while, then you may have already come across the HBO1 from Behringer. This pedal is a direct challenger to the classic styles and expression pedals players have grown to love, however at an average of 50% cheaper. Modelled from original sounds, Behringer offer a completely classic, standard Wah tone from the HBO1. 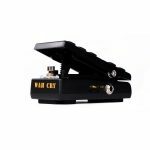 The range control allows the player to adjust heel-down bass frequencies with ease, ideal for users that want a wah pedal for rhythm and ‘muddy’ sections. Additionally, the pedal comes with a ‘spring-back’ construction, resulting in a unique experience when flicking in between modes and on/off. If price is a deciding factor on purchasing a pedal and you still want to get as close to the classics as possible, then be sure to give the HBO1 a try. Based on the much sought-after and, for a long time, secretive (or ambiguous at best) ‘rack’ wah settings of John Petrucci comes the JP95, a complete singular model of the settings every fan of Dream Theatre has been waiting for. Whilst the effect is fantastic and certainly unique on its own, the pedal also comes with an additional total of eight settings; ‘Q’ control, volume and 6 added EQ controls on the inside. The result? A wah pedal modelled heavily from a guitarist who certainly knows his EQ’s from his high ends, and a pedal built for adding that extra fire to a distorted solo. If you’re a fan of Dream Theatre, the style of John, or simply want to see what all the fuss is about, then check the JP95 out! 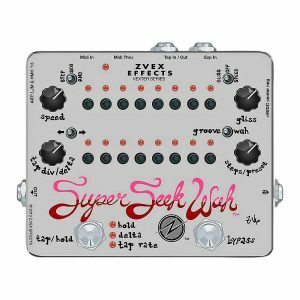 The Super Seek Wah is a fully customisable, programmable and bespoke offering from the geniuses over at Zvex Effects. Hand painted, this modulating monster is allows any player to operate the step sequence of the signal, with complete control over how the signal is handled, processed and ultimately outputted through the amp. Controls include a tap tempo, speed, tone, the amount of hold on the effect, and even a bypass option to jump in and out of the wah effect. 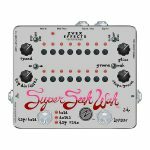 If you’re into the practical, technical side of sound processing and guitar effects then the Super Seek Wah will be right up your street. Unless you’ve had your head firmly buried in the sand, you’ll be aware of the guitarist behind this signature model! 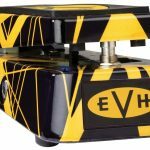 The EVH59 in a stunning frankenstein ‘Van Halen II’ yellow, the signature Dunlop Wah from none other than Eddie Van Halen himself! 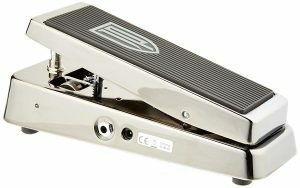 So, what’s the difference between this Wah pedal and the countless others in the Dunlop range? 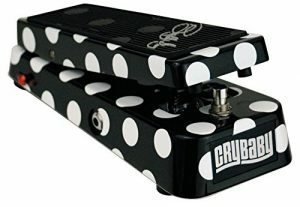 For starters, this pedal stays true to the original custom Cry Baby which Eddie personalised and modified back in the 80’s, modelled off the same circuity and edited design. 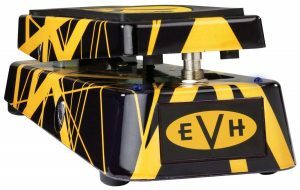 If you’re a fan of Van Halen you will be aware of the sweeping, almost divebomb-escue style of wah effect that is signature to Eddie, and this pedal certainly delivers. The pedal is finished with active LED’s and an effect that is incredibly prominent with the mid wah range (great for emulating those EVH solos). All in all, if you’re looking for an expressive pedal to add a ‘voice’ effect to your solos, then is the one to do it. 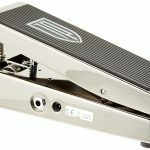 A vintage Wah pedal requires a very specific kind of construct, and whilst there are a few throughout this guide, we have to touch on the slightly lower-cost option which is both a solid build and certainly rivals the more expensive options for a certain kind of Wah effect. 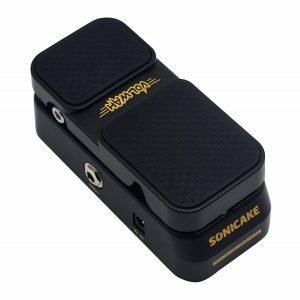 The Volwah from Sonicake is a volume and Wah combination unit, with the volume section sealed within an active circuit to ensure no mishaps and accidental muting when playing live. 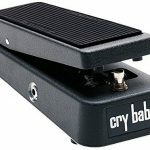 The Wah portion is dedicated to a 60’s, vintage modulation effect, modelled off the standard Cry Baby yet offering a smaller, more compact pedal option. If you’re stuck for space and just want a classic effects pedal without paying top-dollar, then this is the one for you. 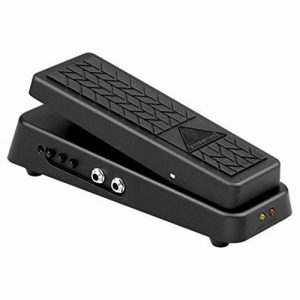 The AW-3 is a classic, compact Wah pedal that both emulates the retro sounds and modulating standards of the original Cry Baby, and also offers fans of a more modern, experimental style to really get to grips with discovering a completely unique Wah effect. 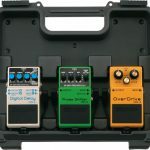 Like many Boss pedals, this stomp box is incredibly easy to get to grips with, ideal for beginners who may not be interested in the standard expression pedal shape and those looking for a starter option to experiment with pedals, signal routing and generally building a completely bespoke pedal board with personally programmed effects. 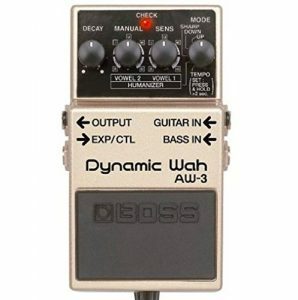 If you like Boss pedals in your board, or are looking for an alternative to the Cry Baby that will fit into your compact pedal board, the AW-3 offers both complete tonal control, a sturdy build and a neat size. Perfect! 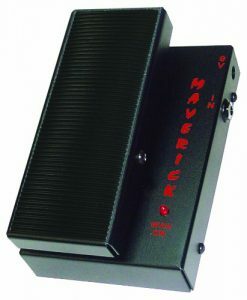 Whilst the MSW Maverick appears to be a stocky build, the pedal is smaller than it looks, and practically bulletproof in construction! Penned as a ‘Hybrid Wah’, the Morley is a must-have for fans of neo-classical shredding and Vai-esque modulated tones. The careful circuitry ensures that the effect does not ‘drain’ the original signal of the guitar, meaning that it is the ideal pedal for shredders and metal players looking for a modulation effect that will not muddy a distorted tone. If you want that Vai Wah sound that will fit in your pedal board, Morley are the ones to deliver. 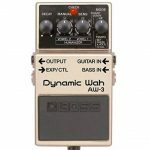 If you don’t want to deal with learning how to use an expression pedal, or simply don’t have the room for the standard size of a Wah pedal, then there is another handy option; an Auto Wah! 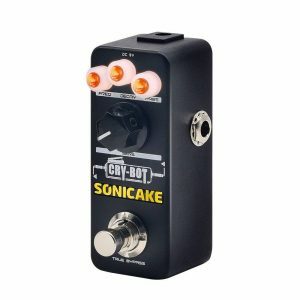 Usually much cheaper than a standard expression Wah too, the Sonicake Cry Bot is the perfect kind of Auto Wah to get started with. With controls that allow tonal control, the level of pulse, and even the decay of the effect, the Cry Bot is ideal for lovers of funk and jazz who want to spice up their rhythm styles. With the ‘PRES’ setting allowing the player to control the brightness/intensity of the Wah effect, the Cry Bot can be dialled to either a strong modulating effect for heavy rhythm, or brought down for a subtle Wah backing. 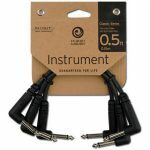 Recommended for players stuck for space and rhythm players wanting to concentrate more on their playing than having to deal with the hold and release of an expression pedal. Arguably the original competitor of the classic Cry Baby, the hand-wired Vox V8 has always been biting at the heels of Dunlop since day one. So, what’s the difference between a Vox and a Dunlop Wah, and why would you choose this one over our favourite in this guide? The answer simply lies in how you, the player, prefers a hand-wired or ’boutique’ pedal to be. With the vintage Halo circuit conductor within, a true bypass circuit and a solid aluminium body, the Vox Wah is a true powerhouse. In contrast to the Dunlop Wah the effect is slightly brighter with more of a depth in the ‘sweeping’ modulation effect. 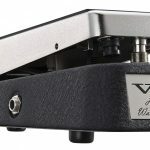 In our opinion the Dunlop Wah handles distortion slightly better too, which may answer the reason as to why the Vox Wah has been favoured by funk and jazz guitarists as opposed to heavy metal and rock players. When a guitarist thinks of a player at the forefront of guitar effects, they will usually think of Jimi Hendrix in the 60’s with the classic Dunlop Wah. 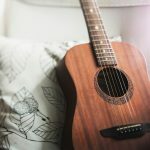 And, whilst many players will no doubt have heard of Buddy Guy, they may not link his playing and pedal board to bringing the Wah effect as we know it to the forefront of popular music. Plus, this is prior to the rock revolution of the 60’s and 70’s, and the BG95 signature pedal reflects the pre-psychedelic, warmer blues style perfectly. The pedal features the iconic Fasel Inductor, a circuitry addition used to ensure that the top-end of the modulated signal simply sears. When it comes to the lower, bottom end of the modulated tone, players can choose from two separate lower frequency options, offering varied levels of distorted grit whilst remaining true to the tone of the guitar. If you’re looking for a premium pedal to match a classic blues tone, this is certainly it. 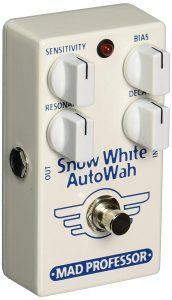 Last in our list is the MAD-SWAW Snow White Auto Wah from Mad Professor. 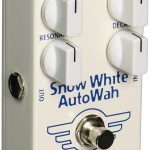 Any Auto Wah worth its salt will give the player a diverse selection over the control of a signal, and the Snow White certainly lives up to our Auto Wah expectations. Controls include resonance, decay, modulation sensitivity/rate and bias which controls the resonance of the frequency. If you want to treat yourself to a premium Auto Wah, we highly recommend you start with our final recommendation in this guide. If you don’t live near a local music store and haven’t got the option to try before you buy, the next best thing is to listen and see how a Wah pedal operates. We’ve included our favourite video demos below! If you’re just putting your first pedal board together, need a reminder to stock up on a few must-haves when it comes to pedal accessories, or simply want to see what our team recommends as must-have gear for your stomp boxes, give the collection below a browse. Got a question? We have the answer. If you don’t see your question below be sure to leave a comment and a member of the team will get back to you as soon as possible! As with most things when it comes to pedals, the type that you choose comes down to two deciding factors. Personal preference, and price. 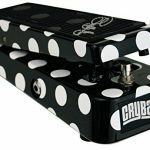 The difference that a boutique Wah pedal offers is related to the custom circuitry, the unique sound that a player can get from each pedal, and the often justifiable hype around a limited run (of which most boutique pedals are). If you’re a beginner looking for a pedal, any within this guide will suffice. If you know the exact sound you want and want to test pedals and hone your sound, then a boutique option will no doubt suffice. 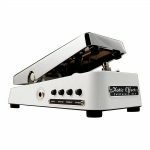 Should every guitarist have an expression pedal? Whether it’s a volume pedal or a modulating effect, any type of expression pedal is certainly fun to play with. Whilst many players opt for the auto-modulating pedals such as those within this guide, there’s often a learning curve to be had with any expression pedal. And, much like learning the guitar, mastery of the expression pedal comes with persistence, and the results speak for themselves. 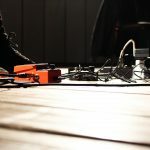 Are Wah Wah pedals good for beginners? Like the above question, the standard expression pedal naturally comes with a bit of a learning curve. For beginners we recommend a sturdy pedal that will last a lifetime like the Jim Dunlop Cry Baby or the Vox Wah, or for players who just want the effect without having to get to grips with the motions of the expression switch, then an Auto Wah is a brilliant alternative. 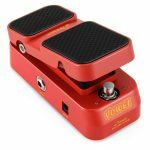 What’s the average price of a Wah pedal? The average cost of a well-built, sturdy, classic pedal will set you back around $100, with custom options often exceeding $200. 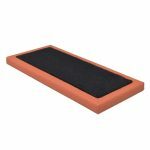 What’s the first song I should learn with a Wah Pedal? 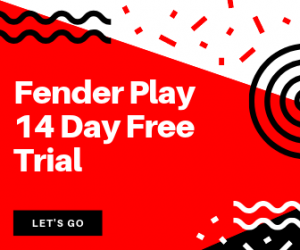 Would we really be a guitar website if we didn’t recommend the song that started it all? Thank for checking out another of our ultimate guides. 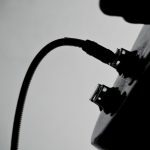 We hopes it’s been helpful, and that it’s expanded your horizons in terms of the Wah and expression pedal options available to players of all levels and experience. If you enjoyed this one then be sure to catch our loop pedal buyers guide, or take a look at our latest post on tube VS modern amplifiers. Happy shredding!